I'll have to read a lot of meta before I get all the plot-bits straightened out in my mind. Very often, other people help me understand what I liked and didn't like about a given show. But I know I liked some things right off. Dean's death and demonization struck me as true to the story--pretty much inevitable--and not some daemon-ex-machina the writers pulled out of their asses. 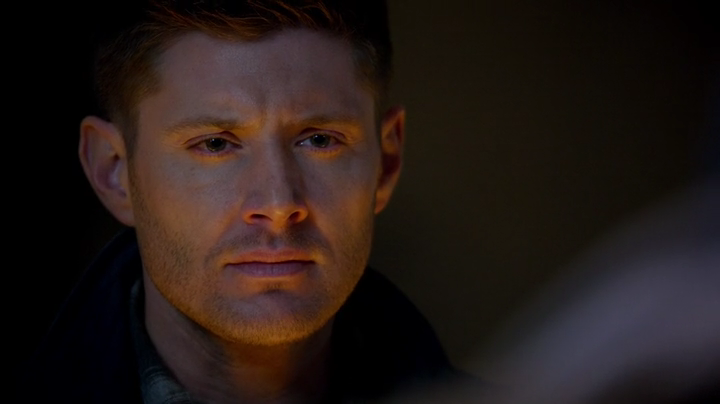 I loved that they went there, that they didn't fall back on another crossroads deal, that Dean has gone evil as the unavoidable outcome of all his many choices--good, bad, and well-intentioned. I liked that a lot. As most of Tumblr is saying tonight, it's now 100% canon that Cas basically tore down heaven out of his love for Dean. I liked that, too. Thank you to the showrunners for using Blind Faith's "Can't Find My Way Home," one of my all time favorite songs, during the laying-out scene. It added a lot of tears to my already snot-faced crying. Come down off your throne and leave your body alone. Somebody must change. They'd better pay to keep that in on the digital release, is all I'm saying. I don't care how many times Show has had Sam and Dean breaking up, getting back together, and mourning each other: Jared and Jensen really sold it in this episode. "I'm proud of us." Me too, Dean. Me too. I feel like Show has dug in and found one more catlike life, and I'm surprised and very happy to be looking forward to a tenth season.